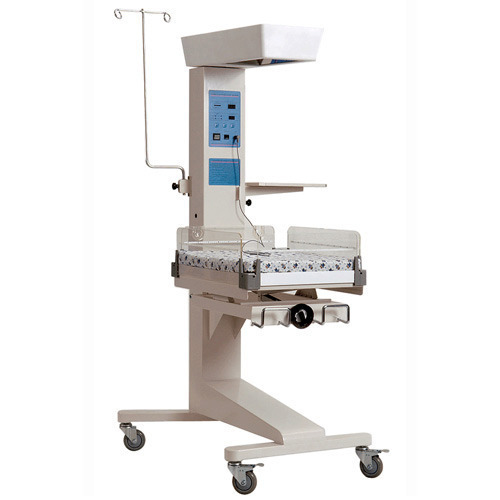 Providing you the best range of phototherapy equipment, led phototherapy system, neonatal incubator, incubator, neonatal resuscitation unit and baby incubator with effective & timely delivery. We are leading mfg and exporter of LED Phototherapy System in chennai and india. 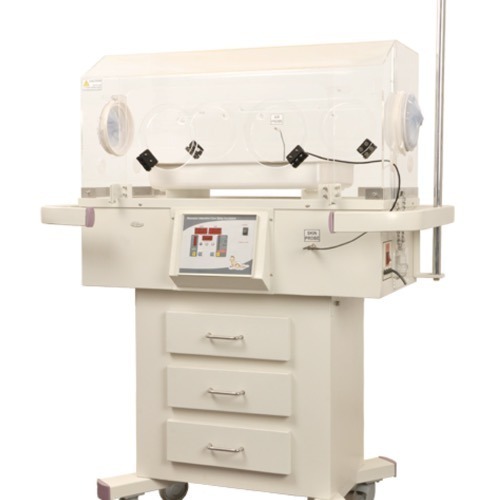 Neonatal Incubator is designed to meet the safest and most stable environment. This baby incubator offers the Advanced Technology and Innovative design to meet the most demanding Neonatal Clinical care need in the NICU. Microprocessor based Temperature controller system provided to control the Air and Skin temperature and it has all Fault Indications with Nsuat alarms. 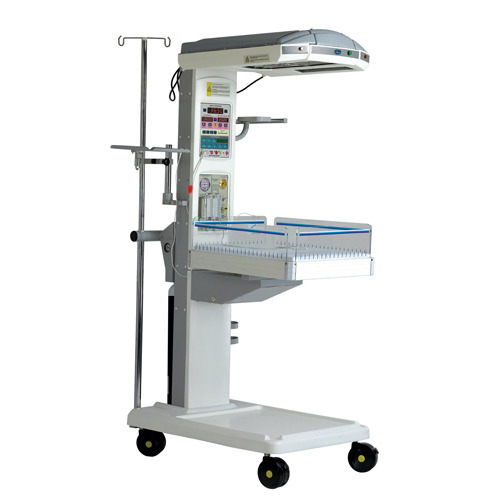 We offer Infant Incubator, which is widely used for various applications in laboratories and hospitals. It consists of a double wall of stainless steel, adjustable shelves, two indicators and on/off switch. This incubator is highly appreciated for its efficient working and longer service life. This incubator is widely appreciated for its reliable and accurate Temperature Control. Neonatal resuscitation units are commonly used as open care incubator in the delivery room, intensive care units, operating theatres. They must combine heat control, Resuscitation, Phototherapy unit space for monitoring system and complete accessibility to the infant with an optimum medical procedure capability. Our units are fitted with advanced microprocessor that allows three setting: pre warm, manual or automatic. Further, the alarm fitted in these units indicates the power failure, temperature deviation and temperature failure. 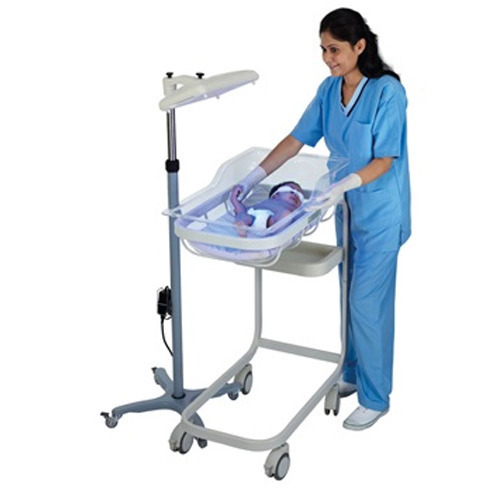 The heated head of these units can be adjusted more than 90º horizontally and the infant bed can be adjusted as per the requirement. Apgar Timer: The digital apgar timer is switched on at the moment of birth and an acoustic alarm will sound after 1,5,10,15 and 20 minutes, reminding to examine the new born according to the apgar scheme. This Incubator offers the advanced technology and innovative design to meet your most demanding clinical care needs in the NICU. A digital Microprocessor controller provides permanent check of all important functions. Built in features ensured for proper operation, also gives clear indication of temperature settings. 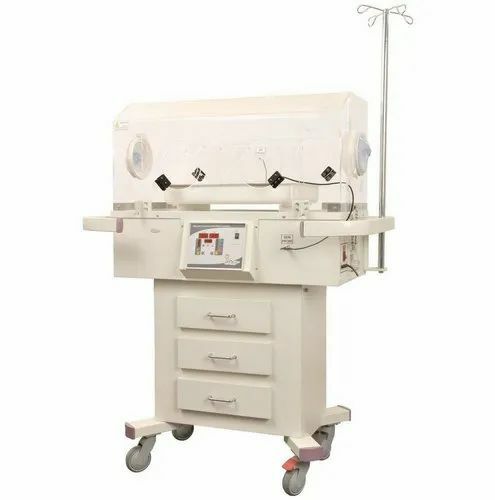 With a motive to stand tall on all the expectations of our customers, we are actively involved in offering a quality approved compilation of Transport Incubator. In line with the quality values laid down by the industry, these offered products are made using quality rich components and advanced techniques. Moreover, these are examined on multiple grounds top maintain their effectiveness. We are instrumental in manufacturing a wide range of Radiant Warmer. These equipment are manufactured using most advanced technologies at our end. The different modes such as previously warm mode, manual mode and baby mode are controlled by the advanced micro computer installed it these warmers. Easy to operate, these systems have heater heads. The offered equipment are delivered in the market after complete inspections is done by our quality controlling team. That is widely used in hospitals. These warmers are designed and manufactured by technocrats in compliance with international quality standards. Known for optimum performance, compact design, accuracy, durability and longer service life, these Infant Warmers are widely recognized in the market. To meet the varied needs of clients, these warmers are available in different specifications at highly economical prices. We present a family of Neonatal Open Care System to meet the diverse thermo regulatory requirements of patient at your hospital. Neonatal Open Care System is designed according to the most recent international standards and provides the neonate with an adequate and secure environment of its care. With a regular focus on quality, we are involved in manufacturing, exporting and supplying an huge assortment of Phototherapy Unit for our clients. Our offered product is developed by our team of highly skilled professionals who make use of superior quality basic materials and modern equipment. Besides, the entire range of our offered unit is highly appreciated in the market and can be availed at a pocket friendly price. Infant Radiant Warmer is designed with innovation to meet thermo regulatory requirements of new born infants who suffer extremes of heat loss. 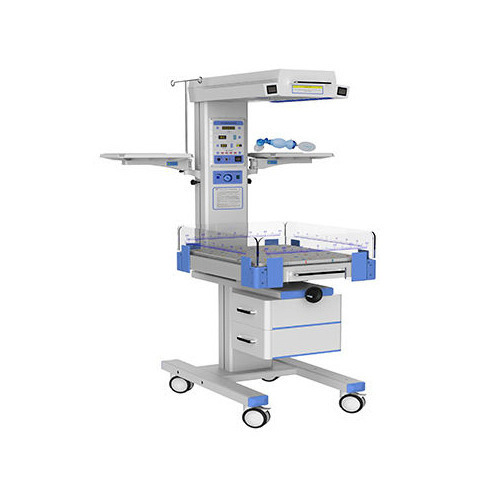 The system can be used in delivery rooms and Neonatal Intensive Care Units. 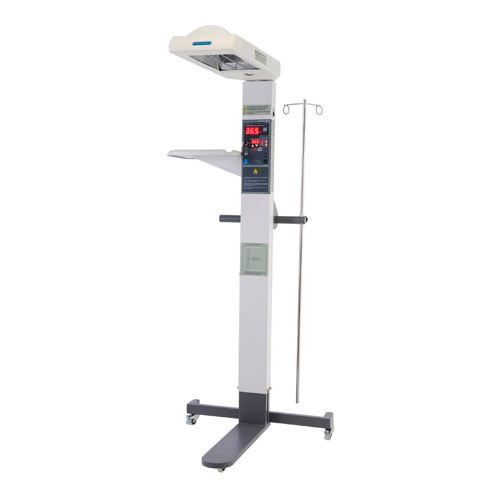 The micro control based servo control system detects minute variations in skin temperature and adjust the ceramic infrared heater output to maintain the infant’s temperature at a prescribed previously set level. We are a Leading Manufacturers, Suppliers & Exporters of Infant Resuscitator.